A good real estate pro can come in handy in more ways than you may have thought. In order to get the best out of your home selling and or buying experience, you should rely on a seasoned professional to guide you through every step. When dealing with home purchases and or selling your home, the paperwork can seem overwhelming. A professional real estate agent will help you decipher through what all the paperwork is. They will help with all contracts and disclosures necessary in today’s heavily regulated environment. Most real estate professionals are well educated in - and experienced - with the entire sales process. In this industry, experience really does matter. There are so many issues that could come up in any given transaction that the average consumer is probably not familiar with. Handling these difficult situations is second nature to an experienced, professional. A real pro will be able to negotiate contracts for the sale and or purchase of properties. They will negotiate with all parties involved to get you the best possible deal that they can. Between working with other agents, brokers, attorneys, home inspectors etc. 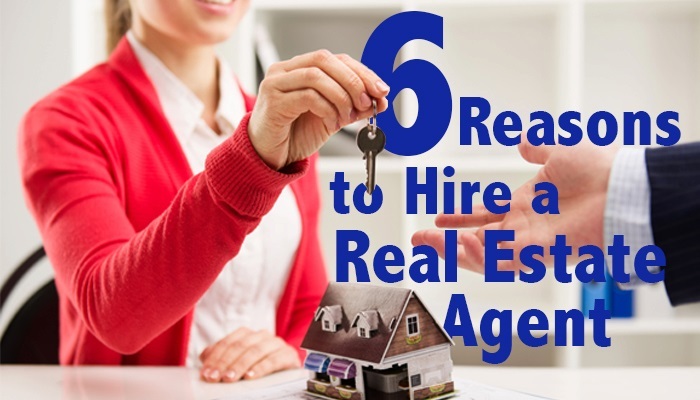 this is definitely one of those important factors in hiring a professional real estate agent. They can act as a “buffer” in negotiations with all parties throughout the entire transaction. They help you understand today’s real estate values when setting the price of a listing or an offer to purchase. The real estate market is different in every area, and a good agent knows this. Determining the proper price is definitely one of the most important features in buying and selling real estate. A good agent simply and effectively explains today’s real estate headlines and decipher what they mean for you. An educated consumer is the best consumer. Your professional real estate agent will make sure that you are educated in every area that is important in your real estate transaction. They are trained to assist you in reducing the financial and legal risks involved in selling a home, helping you avoid costly mistakes and ensuring that the sale of your home proceeds smoothly.